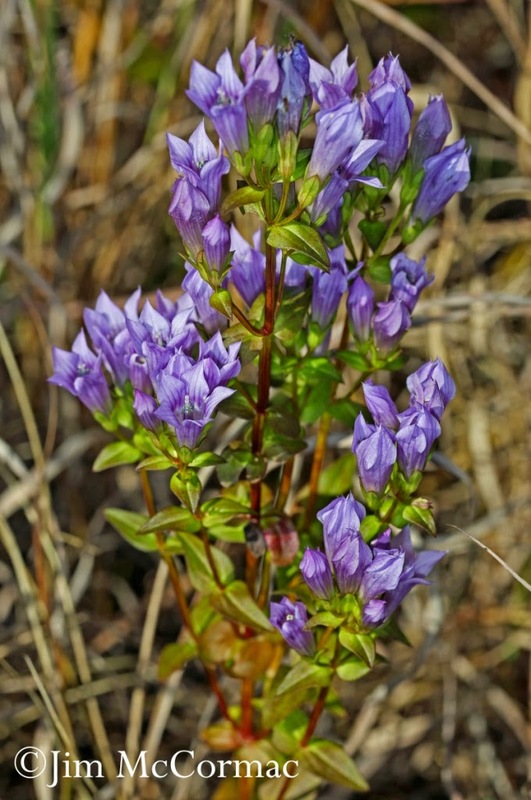 A particularly luxuriant Stiff Gentian, Gentianella quinquefolia, is apparently content in an Adams County, Ohio cedar glade. It shared space with dozens of others, and I made these images last Sunday, October 26 - a date by which most flowers have tossed in the towel. This showy gentian is a true harbinger of Autumn's end. 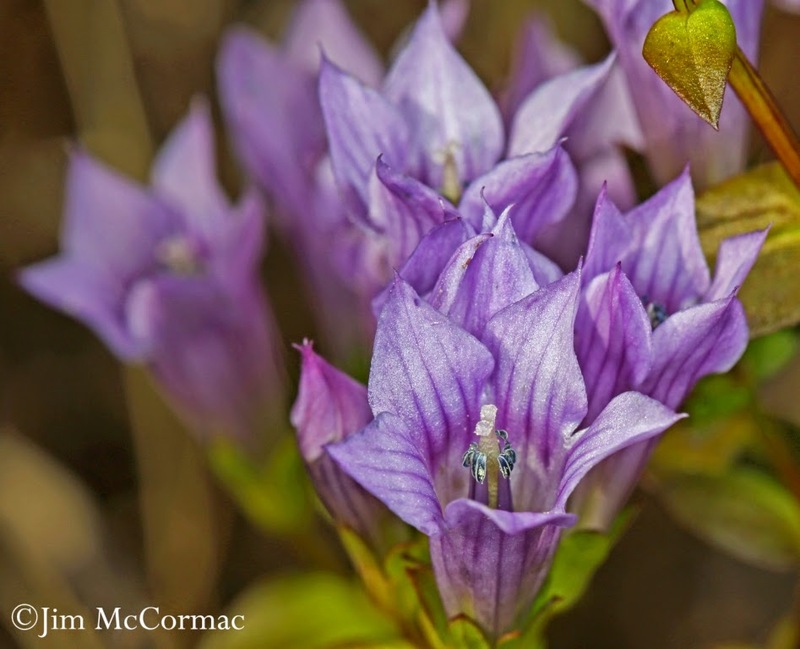 The flowers of Stiff Gentian are photo-sensitive, opening fully when spurred by the sun's rays. The nectar within is alluring to a host of late season pollinating insects, especially members of the order Hymenoptera (bees and wasps). I parked myself near some especially robust gentians, camera in hand and rigged with the macro setup. I didn't have to wait long before interesting subjects appeared. This was my favorite, and an animal that I had not previously photographed (at least well). 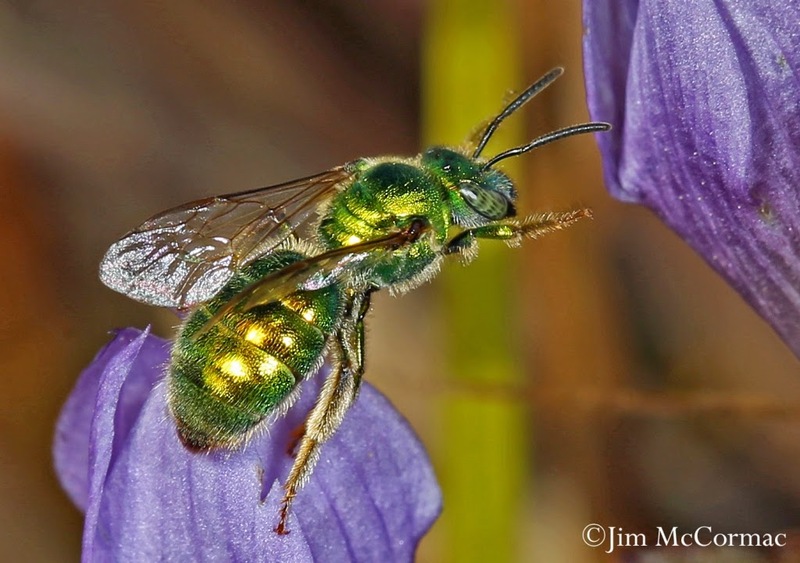 If I'm correct, it is a so-called sweat bee, and possibly one in the genus Augochloropsis. I hedge on the identification because this is a large group of insects, with many look-alikes. For a piker like me, a species-specific ID is more than difficult. But whatever you call it, the animal is quite showy and well worth our close inspection. The little bee struggles mightily to pull itself from the confines of a mostly closed flower. I'm sure it was worth the investment of energy. The gentians were probably grateful for its trespasses, too. 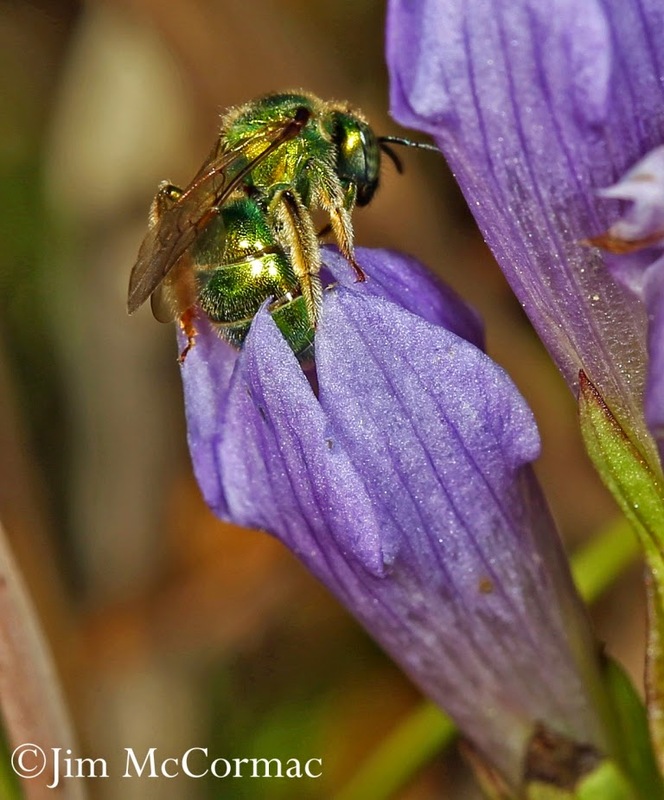 Bees - native bees, not European honeybees - are essential to the gentians' life cycle. The entire trip into the flower didn't last but ten seconds or so. After plumbing the depths of the flower, the bee was off to the next. 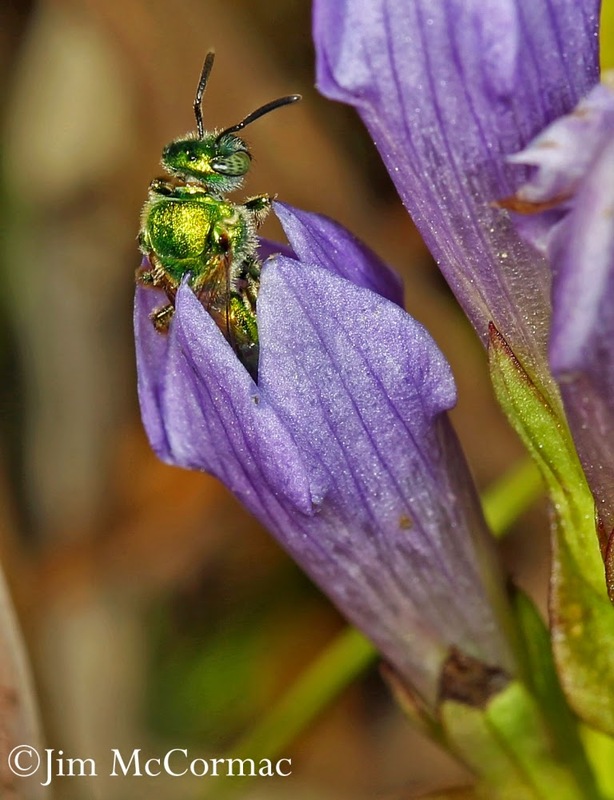 Most of our roughly 1,800 native plant species (in Ohio) would quickly fade away were it not for the army of native pollinators that service them.